Whitkirk Motors based in Leeds have been loyal advocates of Pro-Cut since they purchased their brake lathe back in July 2009. 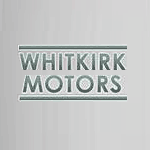 Customers experiencing brake issues take their vehicles to Whitkirk Motors because they know the garage will be able to solve their brake problems and save them money. 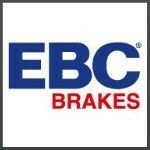 To have your brakes skimmed as good as new visit here. Central Garage in Snaith, (www.centralgaragesnaith.com) originally established in 1928 and simply known locally as "The Jag Garage", has been around for over 40 years. 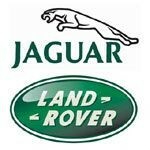 Passing through three generations of the family, it has evolved into a fully equipped diagnostic garage specialising in Jags and Landrovers. Andrew Hannah and his team at the Jag Garage have a reputation for honesty and pragmatism when repairing vehicles (needed when fixing old jaguars!) and like to provide customers with good old fashioned top quality all round service and great value for money. As a long-standing and experienced ProCut user, I would gladly recommend the brake lathe to a prospective new user. It allows us to offer a really great service to our customers. The machine itself is of excellent quality, easy to set up and easy to use. It has paid for itself three times over already! The technical backup we get from Pro-Cut is also excellent. "...If during install you notice runout on your car it will surely be due to a chassis alignment [issue] that happens on one in seven cars, usually caused by nudging a kerb or hitting a pothole in the road earlier in driving the vehicle. This is ONLY cured by aligning the rotors on a Pro Cut lathe...."
You can find that page here: and the info is in the 'product information' box at the bottom of the page. Will skimming my discs eliminate brake vibration? The simple answer is YES in virtually every case. 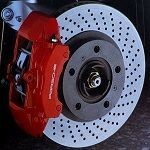 Matching the brake disc to the vehicle aligns the braking system, curing brake vibration. Here's Why: When a service centre matches your brake discs to your vehicle, they are eliminating all lateral run-out (a fancy term for wobble) down to less than the thickness of a human hair. In simple terms, the disc wears evenly from this moment on. Why is that important? Because when a brake disc doesn't spin true (or wobbles), it will contact the brake pads twice each revolution, on opposite faces to the disc, resulting in uneven wear EVEN when your foot isn't on the brake pedal. This wear will cause the brake disc thickness to become uneven (so called warping) and cause unwanted pedal pulsation and vibration when you brake. This can affect overall performance of the braking system, which is obviously best avoided for both safety and financial reasons. What can be done? 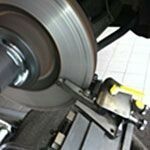 Use our Service Centre location page to find a local pro-cut on-wheel brake disc skimming garage. Get your discs machined on the wheel for a perfect finish. Always do this if you have new discs fitted to ensure new discs wear evenly. This simple measure will help prevent vibration in the future as the disc wears down. Disc Skimming Myths - BUSTED! MYTH: Brake disc skimming doesn't solve brake judder. FACT: Pro-Cut PFM machines have been around since 1999. Since then they've been tested and approved by almost every vehicle manufacturer, because they solve brake vibration problems. With some makes of vehicle it’s mandatory for the dealership to have the machine. FACT: Yes you do! You can skim brake discs off the car, using a bench lathe. But why would you want to spend time removing the disc and then refitting it? And more importantly, off-car machining doesn't take account of any hub run-out or unwanted particles between mating surfaces. You must make sure the disc is actually matched to the hub to which it’s fitted, meaning that the disc has to be machined on the car. MYTH: There are lots of vehicles whose brake discs can’t be skimmed. FACT: With Pro-Cut the process is amazingly easy and quick- just 9 minutes per disc. After removing the brake pads it’s just 4 simple steps: (1) Attach a hub adapter in place of the wheel (2) Connect the Pro-Cut lathe to the adapter (3) Press the auto-adjustment button (4) Cut the disc. 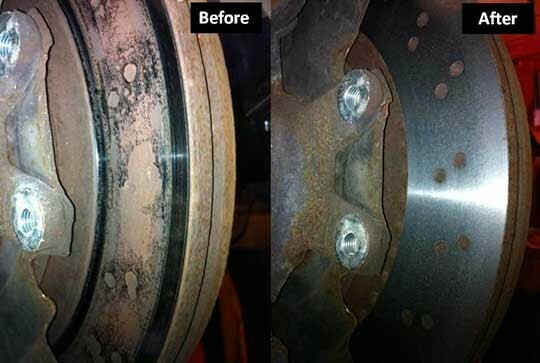 Pro-Cut improves brake performance by removing corroded disc surfaces. This gives 100% contact area between discs and pads, solves imbalance problems and improves driver safety.